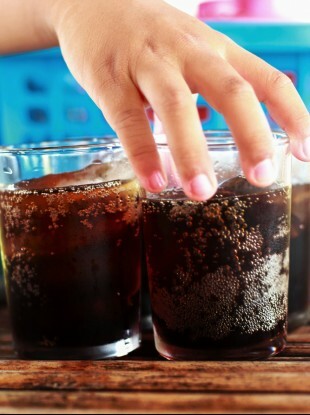 EDUCATION MINISTER JAN O’Sullivan has said offering healthy options in schools should be prioritised, and ruled out any immediate action to ban fizzy drinks vending machines. It follows a warning yesterday from the Royal College of Physicians in Ireland that the country could soon top Europe’s obesity tables and become a nation with the highest number of obese men, women and children. “I think we need to have healthy options in schools,” the Minister said at an event yesterday, when asked about the issue. In a policy paper, the RCPI warned that “now time to protect vulnerable children in particular from slick advertising and marketing campaigns to promote foods and drinks that contribute to obesity by imposing a ban”. Consultant endocrinologist Professor Donal O’Shea criticised the ‘Share a Coke’ campaign in particular…. “We cannot expect that industry will take this responsibility on itself. The ‘Share a Coke’ campaign is one example of this — Coca Cola has an expressed commitment not to market its products to under 12s, yet almost all of the 100 most popular names of 7-8 year olds are included in their campaign. A ban on television advertising of foods high in fat, salt and sugar up to 9pm and a ban on marketing these foods to children. Email “"Banning things can be difficult": Minister rules out action on school vending machines”. Feedback on “"Banning things can be difficult": Minister rules out action on school vending machines”.